Our trip to Morocco was everything we expected and much more. 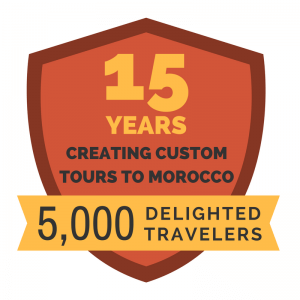 From our initial contact with Experience tours, meeting your driver at Casablanca airport and throughout the tour itself and finally until we said goodbye to Hassani Mohammed at the airport in Casablanca, everything went smoothly and without any hitches. Hassani, the driver was great and the Hyundai vehicle was nice and roomy and very comfortable. Hassani’s knowledge and commentary of each place we visited was extremely thorough and made us really appreciate what Morocco had to offer. One feature of your tour we particularly appreciated was that breakfast as well as the evening meal was part of the tour. This left lunch to really try the local food which we found very good. 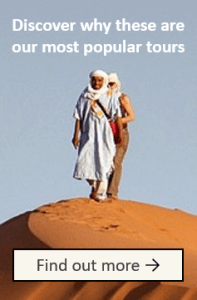 Everyday revealed something different and it is hard to really pick a favorite place although Fes and Marrakech stood out probably because of the superior Riad accommodation in those particular cities. If I could make one small suggestion it would be to recommend to your clients – if they are unable to speak French – and that would be to carry a small French translation book as in many places only French is spoken. 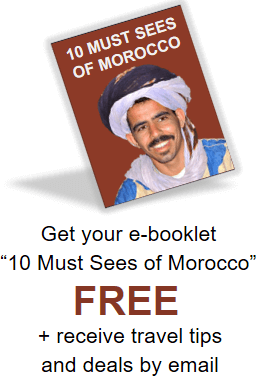 We would certainly be most willing to recommend your Company to anyone wishing to tour Morocco.